Pakistan Air Force is the symbol of pride for the nation therefore you should feel proud by joining PAF. You can join PAF as an Airman, officer and as a civilian. Pakistan Air Force selects the right type of young men to be a part of PAF. Those who are selected can look forward to an exciting career as Pilot, Engineer and IT officer. The officers in PAF make a meaningful contribution in order to groom and train officers to play their role effectively and efficiently. Depending upon requirements, Pakistan Air Force offers three types of Commission in various branches of the PAF in the Officers Cadre like Permanent Commission (PC), Special Purpose Short Service Commission (SPSSC) and Short Service Commission (SSC). Here I will give you some details about the online registration procedure to join Pakistan Air Force. A candidate must know some points before the online registration. The points are: Candidate can only register in ONLY ONE branch in an induction cycle. It is necessary that candidate should possess the computerized national identity card issued by NADRA. Candidate having dual nationality will have to surrender their foreign nationality before joining the course. Candidates who have appeared earlier in ISSB must bring their ISSB letter of Acceptance / Rejection / Screen Out. After reading this then you have to following the instructions very carefully. It is noteworthy mentioning here that you have to be careful that you should not lie in the ineligibility conditions. First of all login to www.joinpaf.gov.pk then you have to put your personal details in the registration form. After that you have to add your academic qualification details and then you have to generate your slip online. You will be informed further details on your email address. It is necessary that you should remember all your details and better to note down in your notebook including all the codes and passwords so that you don’t have to face any problems in the future. You have to remember your email and password so that you can login in the website so that you can see your registration status. Intelligence test followed by Academic test in relevant subject at respective I & SC. Initial medical examination and interview at I & S centre. Selected candidate will be offered highly competitive salary package. Free medical treatment for self and his family will be allowed. Training and posting in different cities of Pakistan and abroad may be hoped. Free accommodation will be given in addition to 50% waiver in fare by train and air travel. He will be given membership of Air Force Officers housing scheme (AFOHS). Twice rejected by Inter Services Selection Board (ISSB) / General Headquarters (GHQ) or Naval Headquarters (NHQ) or Air Headquarters (AHQ) Selection Board. Twice screened out by ISSB / any Service Selection Board. Once rejected by ISSB and once rejected by any Service Selection Board (ISSB and Service Selection Boards will be considered at par for eligibility purpose). Absentee from any Service Selection Board will be treated as rejected. Twice rejected by ISSB or any Service Selection Board for specific higher qualification courses. If declared permanently unfit by Armed Forces Appeal Medical Board (AFAMB) for commissioning in PAF / Army / Navy (candidates declared unfit by AFAMB / CMB / CMH will remain ineligible until they are declared fit by AFAMB). If dismissed / removed / debarred from any Government Service including Armed Forces. If withdrawn / rejected from any Service Training Institution for the reasons of maladjustment / disciplinary grounds / medical unfitness / resignation / purchase of release / character qualities. However, candidates withdrawn due to poor performance in academics or lack of flying aptitude are eligible to apply for branches other than the one they were withdrawn from. If convicted by a court of law for any offence. If their original academic certificates are found tampered with. If they have concealed any information or have provided incorrect information at the time of filling in their application forms / interview. Thrice screened out by Army / Navy / Air Force in any preliminary tests stands ineligible. 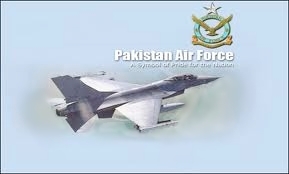 For further details and online registration you should visit www.joinpaf.gov.pk or any of the following PAF information and selection centers along with all original educational certificates/ mark sheets, 2 passport size attested photographs, photocopy of computerized national identity cad of farther and self. Keep visiting us regularly to get more updates on Pak Air force jobs. documents ki verification krwai thi ya nh?